Russell Scientific Instruments offers a complete renovation and repair service for most non-electronic thermometers, both old and new, domestic or industrial. This covers the manufacture of any new parts required including turning and machining metal cases and fittings. We still employ skilled craftsmen with the necessary expertise to blow new thermometer tubes to fit existing scales. Thermometer tubes can be blown from 50mm up to 965mm in length. Thermometer columns can be manufactured to suit the Boyce Motometer (see below) as found on the radiators of some vintage and classic cars. The company's skilled craftsmen can repair and refinish damaged wood and metal work. If this is not possible, then new parts can be produced. 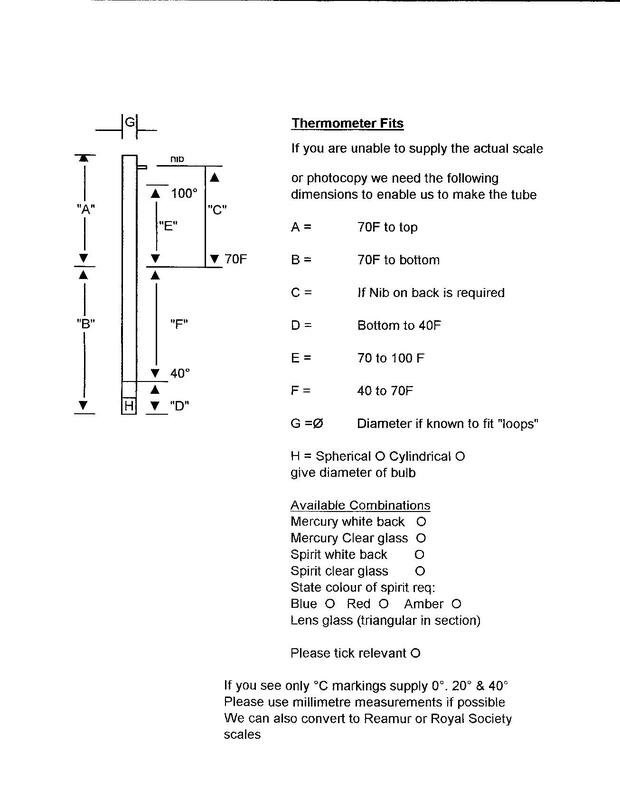 To make a new thermometer tube we require a number of specific measurements. You can download a form here.